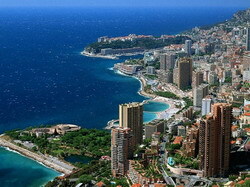 Monaco is one of the smallest countries in the world. But at the same time it can be called one of the brightest jewels of the Cote d`Azur. There is a huge number of different attractions and activities on such a small area, starting with princely families graves, oceanarium and ending with casinos, known all over the world. Monte Carlo, being one of the three Monaco comunities for many years has been one of the most attractive delicious "pieces" for gamblers and for the so called "favorites of fortune" who would like to try their luck. Would like to try your good luck? Whichever is the purpose of your coming to Monte Carlo in Monaco, you probably count on a comfortable, relaxing staying. That`s why you shouldn`t forget to arrange your transfer to the hotel beforehand at our website, not to spend your time waiting in bus queues and not to overpay for taxi. You will need our transfer service also on your way back. We will offer you the highest comfort at an affordable price. Feel free to contact us!